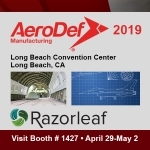 AeroDef Manufacturing® is an aerospace manufacturing and defense manufacturing conference and trade show for the aerospace and defense manufacturing industry. Produced by SME, in partnership with industry OEMs, our mission is to foster innovation across the extended enterprise to reduce costs, expedite production times and maintain manufacturing competitiveness in the global economy. AeroDef showcases the industry’s most advanced technologies across an innovative floor plan designed to facilitate interaction and business relationships between exhibitors and buyers looking for integrated solutions. Our keynote speakers and panelists come from the highest levels of government and industry. They participate to share their vision of the potential of technology, collaboration and public policy to transform manufacturing – concepts that attendees will experience on the exposition floor and in the in-depth conference technical sessions. 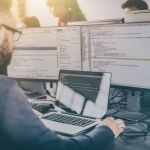 It’s the one event that brings together high-concept, integrated solutions and real-world applications. If you have a stake in aerospace and defense manufacturing, you can’t afford to miss AeroDef Manufacturing. Stop by our booth #1427 April 30 or May 1 from 10 – 5:30.